Following the termination of the contract of Team Manager Takafumi Hori, the current Training Director Tsuyoshi Otsuki has been appointed to the position of top team manager on an interim basis. Youth Coach Yusaku Ueno has also been appointed to the top team coach position alongside him. From Sendai City, Miyagi Prefecture. 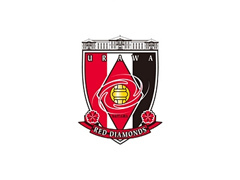 After having played for the University of Tsukuba and Sony Sendai FC, Otsuki started coaching and worked as a staff member of Urawa Reds Strengthening Office from 2004. He became an Urawa Reds coach in 2006 and led the team to win its first J. League title as well as AFC Champions League title. In 2011, Otsuki assumed the position of Vegalta Sendai’s head coach and the team won the fourth place in the J. League standings that year. He returned to Urawa Reds in 2012 and became Urawa Reds’ Training Director and Youth Team Manager. Under his leadership, Urawa Reds’ youth team won the J. League Youth Cup and was promoted to the Premier League.